LOCATION: Sir Alexander Mackenzie Provincial Park, near Elcho Harbour on Dean Channel, at the westernmost point of Alexander Mackenzie’s cross-continental journey, approximately 65 km west of Bella Coola. It’s hard not to suggest the most signficant literary site in B.C. 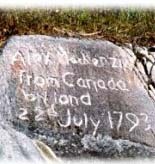 is the rock, near the water’s edge, at the mouth of the Bella Coola River, on which Mackenzie used a reddish paint made of vermilion and bear grease to write: “Alex Mackenzie from Canada by land 22nd July 1793.” This message, later permanently inscribed in the rock by surveyors, records that Mackenzie was the first European to cross the northern American continent (Canada and the U.S.) overland. NOTE: Hikers must still travel the last segment of the journey by boat, as did Sir Alexander Mackenzie. According to BC Parks: Recreational use of the park is limited to one-day excursions by air or boat. Anchorage at the historical rock is poor and exposed to high winds. Temporary anchorage is possible in the cove immediately to the west of the point; again, it is shallow and exposed, and suitable only in settled weather. Better protection is found at the head of Elcho Harbour, two miles farther west. There are campsites a short distance northeast of the point (not in the park). For some visitors, the park will mark the end of an extensive backcountry hiking or horseback riding journey along the Alexander Mackenzie Heritage (Grease) Trail, which travels through Kluskoil and Tweedsmuir (South) Provincial Parks. 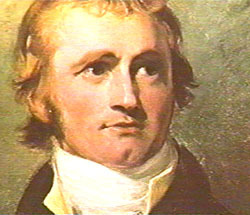 The explorations of Alexander Mackenzie, sometimes referred to as “the hero who failed,” culminated with his overland trek to the mouth of the Bella Coola River on the British Columbia coast in 1793. Although Mackenzie didn’t discover a viable fur trading route to the Pacific Ocean as he had envisioned, his twin forays to the Arctic and Pacific Oceans from Lake Athabasca were the fulcrum point for radical change west of the Rocky Mountains. The publication of Alexander Mackenzie’s Voyages from Montreal in 1801, including an uncredited history of the fur trade by his bookish cousin Roderic Mackenzie, marked the onset of overland fur trading in British Columbia coincidental with the decline of the maritime-based sea otter trade. Born at Luskentyre House, Stornoway, on Isle of Lewis in the Outer Hebrides of Scotland, in 1762, Alexander Mackenzie had a relatively privileged upbringing at nearby Melbost, a farm near the sea that was granted to his father in return for his loyalty as a military leader within the venerable Mackenzie clan. Alexander Mackenzie’s father and grandfather had been lieutenants to the ruling laird, but as Scottish landlords began to demand rents in lieu of loyalty, the Mackenzies, although well-educated, quickly became downwardly mobile and desperate. In 1774, twelve-year-old Alexander Mackenzie sailed for New York from Stornaway with two aunts in the Peace & Plenty. Likely speaking both English and Gaelic, he was blessed with innate self-confidence and what biographer Roy Daniells described as “the self-reliance of the Lewismen traditional Scottish caution and foresight, combined with the Stornowegian instinct for trade.” Strong, haughty, secretive, prone to depression, widely read and quarrelsome, he was a born leader. After Mackenzie’s widowed father Kenneth Mackenzie had also immigrated to America, either slightly before or after his son, both Kenneth Mackenzie and his brother John Mackenzie re-commenced their military careers by enlisting as lieutenants in the King’s Royal Regiment of New York, keen to fight for the British in the American Revolutionary War. 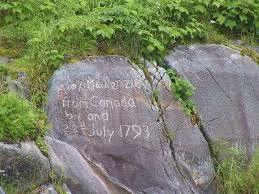 On May 7, 1780, Kenneth Mackenzie died at Carleton Island, near Kingston on Lake Ontario, probably of scurvy. After several years in the Mohawk Valley of New York, Alexander Mackenzie was brought to live with aunts in the relative safety of Montreal, where he briefly attended school. Soon after his arrival in Montreal, Alexander Mackenzie entered the employ of a nascent fur trading company in 1779. Started by Gregory McLeod and named Finlay, McLeod and Company, it operated within a very loose consortium that would eventually become widely known as the North West Company. As a young man, Mackenzie impressed his superiors and was sent to trade in Detroit, where he was offered a partnership in the redefined company called Gregory, McLeod and Company. Initially this company chose to compete against the emerging Nor’westers, but increasingly deadly competition between traders induced Gregory, McLeod and Company to be subsumed, with the fortunate result that Mackenzie became a partner within the much larger North West Company. 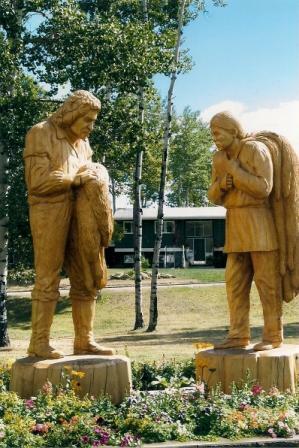 These Hudson’s Hope wood statues honour Alexander Mackenzie’s various excursions in northern B.C. At the annual general meeting of the NWC partners at Grand Portage in 1785, Alexander Mackenzie was placed in charge of the Churchill River, also known as the English River, in the Isle-a-la-Crosse area of northwestern Saskatchewan. There it has been assumed he took his first country wife, an Aboriginal or Métis known as The Catt, who died in 1804, having given Mackenzie at least one child. In 1778, Peter Pond had crossed the Methy Portage and built Pond’s Fur Trading Post on the Lower Athabasca River. Some forty miles from Lake Athabasca, it became the first fort in the Arctic Drainage System and Alberta’s first white settlement. Relying on hearsay, Pond had concocted a map that showed the Pacific Ocean was only 150 miles further west from the Chipewyan tribe. With Pond’s departure in 1788, Mackenzie found himself in sole command of the Athabasca district and determined to test the merits of Pond’s geography. Mackenzie was much heartened by the arrival of his cousin Roderic Mackenzie who agreed to oversee Athabascan operations during Alexander’s absence. Previously sworn to secrecy about his cousin’s grand plans, Roderic Mackenzie also helped relocate Pond’s House to Old Fort Point on the south shore of Lake Athabasca, renaming it Fort Chipewyan, and amassing a renowned library that would contain 2,000 books. In 1792, Alexander Mackenzie wintered at the junction of the Peace and Smoke Rivers, and resumed his quest to find a path across the continent in 1793, this time with nine men, one dog and one canoe. Once again having procured the essential help of Aboriginal guides, Mackenzie travelled up the Peace River, across the Rocky Mountains, part way down the Fraser River and eventually traversed one of several Chilcotin “grease trails” (paths enabling inland tribes to trade for oolachan oil) to the ocean. Upon his arrival near the mouth of the Bella Coola River, on North Bentinck Arm, Mackenzie was unable to immediately record his presence on the Pacific. The Bella Bella were less than hospitable, having recently been fired upon by whites in a very large boat. Mackenzie recorded in his journal the names of two significant white men repeatedly referred to by the Bella Bella as “Macubah” and “Benzins.” One of the survey boats from Captain George Vancouver’s Discovery expedition had been in Dean Channel six weeks previously so it is often presumed these were references to Captain Vancouver [“Macubah”] and the botanist Archibald Menzies [“Benzins”], although there’s no record of Menzies being a member of a shore party at this time. Mackenzie’s party paddled by canoe to Dean Channel where he mixed grease and vermilion paint to leave his famous message on a rock in Elcho Harbour. 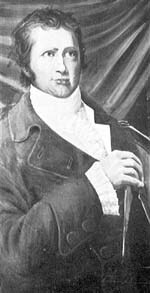 Mackenzie returned to Montreal in 1794 where he became embroiled in fur trading politics and a personal dispute with Simon McTavish, chief founder of the Northwest Company. McTavish’s brother John alleged in a letter of 1803, printed in the Beaver in 1947, that Mackenzie was particularly piqued because Simon McTavish would not allow Mackenzie’s name to be added to the formal name of the firm McTavish, Frobisher and Company. John Fraser was mistaken. 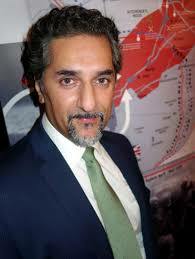 To oppose McTavish and the NWC, Mackenzie helped form a fledgling consortium, the New North West Company, soon generally known as the XY Company. Founded in 1800, this enterprise likely gained its nickname because its traders marked their trade bales with the initials X and Y. Mackenzie’s enmity even extended to his stalwart supporter and cousin Roderic, who became an NWC partner in his place. At the behest of Napoleon, a translated version of Mackenzie’s bestseller Voyages from Montreal appeared in Paris in 1802, along with versions from Hamburg and Edinburgh (based on the French version). A Russian edition appeared in 1808. U.S. President Thomas Jefferson read Voyages from Montreal in 1802 and initiated the Lewis and Clark expedition. Headed by Captain Meriwether Lewis, a former secretary to the President of the United States, and Captain William Clark, this well-provisioned Corps of Discovery expedition used David Thompson’s map of the Upper Missouri and reached the Pacific Coast in 1804, 12 years after Alexander Mackenzie had accomplished the cross-continental feat. Many Americans believe Lewis and Clark were the first “white men” to reach the Pacific Ocean by travelling overland. Just as Voyages to Montreal stirred Jefferson to recognize the need to combat the spread of the Canadian fur traders in the Pacific Northwest, Mackenzie’s description of the Red River valley served as the catalyst for Lord Selkirk’s ambitious emigration schemes for that region. Selkirk, too, would become one of Mackenzie’s enemies. Dedicated to King George III, Mackenzie’s journal effectively portrayed his heroism and gained him the title of Knight Bachelor in early February of 1802. Upon his return to Canada in 1802, the lionization of Mackenzie prompted the XY Company, or New Northwest Company, to alter its name to Sir Alexander Mackenzie & Company. Although Mackenzie’s new company had extensive working capital and a network that stretched to the Athabasca region, he lost some of his corporate-minded zeal for revenge when his nemesis, Simon McTavish, died unexpectedly on July 6, 1804. Four months later, Mackenzie and Simon McTavish’s NWC replacement, William McGillvray, negotiated a merger of their companies under the banner of the NWC. The union of these companies generously accorded Mackenzie’s company one quarter of the joint concern with one provision: that Sir Alexander Mackenzie would be henceforth “excluded from any interference” in the Canadian fur-trade. Two years later Mackenzie helped formulate the Michilimackinac Fur Company, an enterprise designed to compete against John Jacob Astor’s expansion of the fur trade in the United States. Having distanced himself from his cousin, Mackenzie now found himself working in opposition to Alexander MacKay, his hand-picked lieutenant who had bravely accompanied him on his journey to the Pacific. After MacKay and four other Nor’Westers joined Astor in 1804, MacKay became the first person to reach the West Coast of North America by travelling both overland and by sea, arriving at the mouth of the Columbia River on Astor’s ship the Tonquin on March 22, 1811. Alexander MacKay was murdered aboard the Tonquin by Aboriginals at Clayoquot Sound. In 1812, at age 50, Alexander Mackenzie married his beautiful 14-year-old cousin Geddes Margaret Mackenzie. She was the twin daughter of a wealthy, Scottish-born Londoner who had died in 1809, leaving the ample estate of Avoch in the Black Isle, Ross and Cromarty. Already extremely well-off from his shares in the fur trade that were monitored for him by Roderic, Alexander Mackenzie purchased the remainder of the Avoch estate that his young bride had not inherited. Mackenzie and his wife divided their time between London in the winter and Avoch in the summer. Their first daughter Margaret Geddes was born in 1816 followed by two sons, Alexander George in 1818 and George in 1819. As for his Métis offspring in Canada, one son, Andrew, became a fur trader but Daniel Harmon reported “he departed this life” at Fort Vermillion in 1809. In 1799, Alexander Mackenzie discreetly sent fifty pounds to Roderic to provide for a “Mrs. Mackenzie” of Trois Rivieres, adding, “This sum I mean to continue to her annually while Kitty remains single.” Possibly Kitty was a daughter from his marriage to the Catt. While attending the unveiling of the Mackenzie Monument at Bella Coola in 1927, Provincial Archivist John Hosie met a young man in the area who claimed to be a descendant of the explorer. On March, 12, 1820, having been to Edinburgh for medical advice about his deteriorating health (likely Bright’s disease), Alexander Mackenzie died in a wayside inn, near Dunkeld, during his return journey to Avoch. Alexander Mackenzie’s achievements as an explorer have been widely touted in schoolbooks, but his role as commercial visionary remains under-appreciated. In his Afterword to Voyages from Montreal, Mackenzie, the chronic dissembler, ironically argued that greater profits could be obtained if competing fur trading companies worked together, extending export markets to China and the East Indies. 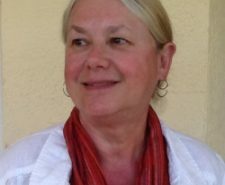 This global perspective echoed a trans-Pacific vision first articulated by the late-eighteenth-century geographer Alexander Dalrymple and the American world traveller John Ledyard, who had sailed to Nootka Sound with Captain Cook. In conjunction with his plan to amalgamate fur companies, Mackenzie unsuccessfully requested a license for The Fishery and Fur Company. As articulated in a blueprint entitled Preliminaries to the Establishment of a Permanent British Fishery and Trade in Furs Etc. on the Continent and West Coast of North America, he hoped to oversee the establishment of a Sea Otter House at 55° north latitude and he advised the British to establish a military base at Nootka Sound, supported by a modest military presence at the mouth of the Columbia River. Mackenzie imagined nothing less than combining, under one corporate umbrella, “the fishing in both seas, and the markets of the four quarters of the globe. Such would be the field for commercial enterprise, and incalculable would be the produce of it.” The Northwest Company partially responded to Mackenzie’s prescience by erecting posts in New Caledonia, and by mapping the Fraser and Columbia River systems, and his corporate vision for the “Columbian enterprise” was partially realized with the union of the Nor’Westers and the Hudson’s Bay Company in 1821. Whereas the Nor’Westers had been exclusively concerned with furs, the HBC, under George Simpson, managed to develop the NWC’s string of money-loosing outposts west of the Rockies into a profitable network, chiefly by his diversification of exports—as Mackenzie had insisted. In two books, Prince George-born Brian Fawcett has written persuasively about Mackenzie, alleging he was a corporate over-achiever driven by profit motives, not an altruistic explorer. Similarly, the antiquarian bookseller R.D. Hilton Smith noted, “His achievements were great, but his record of them has no inner glow.” But despite deficiencies of Alexander Mackenzie’s character, his unintentional influence on Canadian history was great. After he reached the Pacific Ocean by an overland route, it was only a matter of time before commercial forces resolved the remaining mysteries of geography west of the Rocky Mountains and European-style governments were installed by remote authorities. The northern town of Mackenzie was named for Alexander Mackenzie in 1966 and there are many other names in Canada, such as the Mackenzie Highway and Mackenzie Valley, that pay tribute to his journeys. To mark and commemorate Mackenzie’s overland route to the Pacific, a 279-mile heritage trail from Blackwater River near Prince George to Bella Coola was formally established in 1987 but Aboriginals in the Chilcotin have steadily opposed the affixation of Mackenzie’s name to the centuries-old Nuxalk-Carrier grease trail, arguing it is a route that Alexander Mackenzie neither devised nor discovered. Mackenzie, Alexander. Voyages from Montreal on the River St. Lawrence through the Continent of North America to the Frozen and Pacific Oceans in the Years 1789 and 1793. With a Preliminary Account of the Rise, Progress and Present State of the Fur Trade of that Country (London: Printed for T. Cadell and W. Davies [etc.] by R. Noble, 1801; reprinted Edmonton, Alberta: Hurtig, 1971). Mackenzie, Alexander. Voyages from Montreal on the River St. Lawrence through the Continent of North America to the Frozen and Pacific Oceans in the Years 1789 and 1793 (Toronto: The Radisson Society of Canada, 1927). John W. Garvin, ed. Mackenzie, Alexander. Alexander Mackenzie’s Voyage to the Pacific Ocean in 1793 (Chicago: The Lakeside Press, 1931). Introduction and notes by Milo Milton Quaife. Mackenzie, Alexander. First Man West: Alexander Mackenzie’s Journal of His Voyage to the Pacific Coast of Canada in 1793 (Berkeley, California: University of California Press, 1962), reprinted as Journal of a Voyage to the Pacific (New York: Dover, 1995). Walter Sheppe, ed. Mackenzie, Alexander. Exploring the Northwest Territory: Sir Alexander Mackenzie’s journal of a voyage by bark canoe from Lake Athabasca to the Pacific Ocean in the summer of 1789 (Norman, Oklahoma: University of Oklahoma Press, 1966). T. H. McDonald, ed. Mackenzie, Alexander. The Letters and Journals of Sir Alexander Mackenzie, (London, 1970). W. Kaye Lamb, ed. Ballantyne, R.M. The Pioneers: A Tale of the Western Wilderness Illustrative of the Adventures and Discoveries of Sir Alexander Mackenzie (London: James Nisbet, 1872). Bryce, George. Mackenzie, Selkirk, Simpson (Toronto: Morang, 1905). Bishop, R.P. Mackenzie’s Rock: With a Map Showing the Course Followed by the Explorer From Bella Coola, B.C., to the Rock, and Illustrated with Views Along the Route (Ottawa: National Parks Historic Site Series, 1925). Wade, Mark S. Mackenzie of Canada: The Life and Adventures of Alexander Mackenzie, Discoverer (Edinburgh: Blackwood, 1927). Woollacott, A.P. Mackenzie and His Voyages, By Canoe to the Arctic and the Pacific 1789-1793 (London, Toronto: J.M. Dent, 1927). Wrong, Hume. Sir Alexander Mackenzie, Explorer and Fur-Trader (Toronto: Macmillan, 1927). For younger readers. Shore, Maxine & W.M. Oblinger. Knight of the Wilderness: The Story of Alexander Mackenzie (New York: Dodd, Mead & Company; Toronto: McClelland & Stewart, 1943). Davies, Raymond Arthur. The Great Mackenzie in Word and Photo (Toronto: Ryerson Press, 1947). Lambert, Richard S. Trailmaker: The Story of Alexander Mackenzie (McClelland & Stewart, 1957). Daniells, Roy. Alexander Mackenzie and the Nortwest (London: Faber and Faber, 1969). Hardwick, Francis C. (editor). The Helping Hand: How Indian Canadians Helped Alexander Mackenzie Reach the Pacific Ocean (Center for Continuing Education: Indian Education Resources Center, University of British Columbia, 1972). Hardwick, Francis Chester & Phillip Moir & Sister Mary Paul. The Helping Hand: The Debt of Alexander Mackenzie and Simon Fraser to Indian Canadians (Tantalus Research, 1973). Smith, James K. Alexander Mackenzie, Explorer: The Hero Who Failed (Toronto: McGraw-Hill Ryerson, 1973; Fitzhenry & Whiteside, 1976). Mead, Robert Douglas. Ultimate North: Canoeing Mackenzie’s Great River (Garden City, New York: Doubleday, 1976). Smith, James K. Alexander Mackenzie (Fitzhenry & Whiteside, 1976). Brian Fawcett. The Secret Journal of Alexander Mackenzie (Talonbooks, 1985). [Fiction]. Woodworth, John. Flygare, Hälle. In the Steps of Alexander Mackenzie: Trail Guide (2nd ed., enlarged and updated (Kelowna: Self-published, 1987). Manson, Ainslie. Alexander Mackenzie (Grolier, 1988). MacLeoid, Fionnlagh. Alasdair MacChoinnich ann an Canada (Stornoway, Scotland: Acair, 1991). Hing, Robert J., Tracking Mackenzie to the Sea: Coast to Coast in Eighteen Splashdowns (Manassas, Virginia: Anchor Watch Press, 1992). Xydes, Georgia. Alexander Mackenzie and the Explorers of Canada (New York: Chelsea House, 1992). Manson, Ainslie. A Dog Came, Too: A True Story (Groundwood, 1993). [For children]. Gough, Barry M. First Across the Continent: Sir Alexander Mackenzie (M&S, 1997). Hayes, Derek. First Crossing: Alexander Mackenzie, His Expedition Across North American, and the Opening of the Continent (Douglas & McIntyre, 2001). Fawcett, Brian. 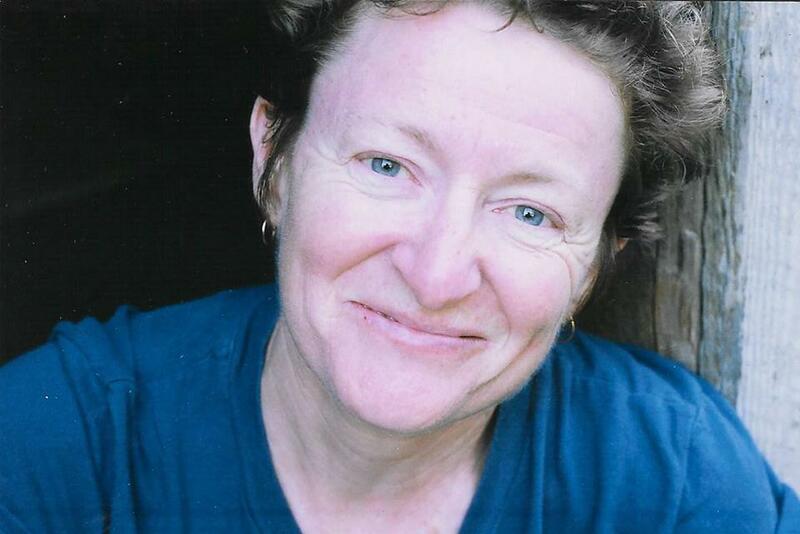 Virtual Clearcut: Or, The Way Things Are In My Hometown (Toronto: Thomas Allen, 2003).